Airug® is an economical solution for workstations where workers are standing for long periods of time and basic anti-fatigue is needed. 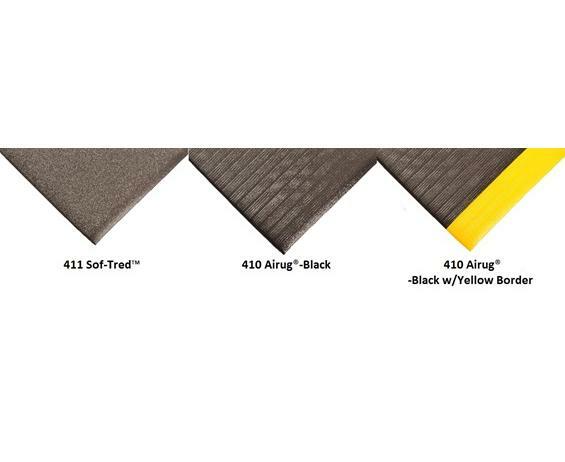 The PVC closed cell foam relieves leg and back discomfort while providing a barrier to cold floors. 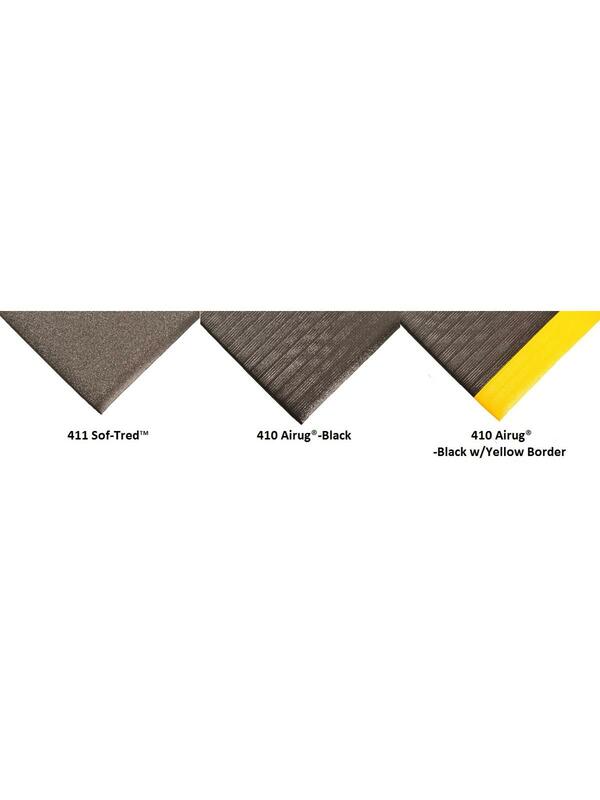 Sof-Tred™ features an embossed pebble-texture top surface that enhances the mat's slip resistance while providing increased worker fatigue relief. Sof-Tred™ is intended for applications where basic anti-fatigue relief is required at a low cost. FOB Shipping Point. 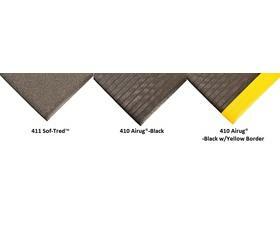 410 Airug® is available in Black (BL) and Black w/Yellow Borders (BY). 411 Sof-Tred™ is available in Black (BL). Custom Cut Lengths up to 60' except for Airug® 5/8" Thickness which is up to 30' lengths. See Related Items tab for 410 Airug®/411 Sof-Tred™.